Premier NW Locksmith company in Reno, Nevada provide locksmith solutions all around Reno/Sparks area and its surroundings. We provide service coverage of 30 miles radius within Reno and Sparks including a stretch to Carson City. We offer many types of locksmith services such as residential, commercial, and automotive. Locks have the purpose of keeping intruders out and keeping your home or business secure. The lock is there to protect you and your belongings, it provides a peace of mind when you are not home securing the property. Getting a lock that is right for your home is important. However, with so many options available in the market, it is hard to determine which lock would be the best choice for you. Deadbolts are a type of lock that is a necessity as a security measure for each home. They are extremely difficult to break through and can prevent most types of force entry attempts. The reason for that is the long throw bolt which is normally around 6 inch that goes into the door frame. When getting a deadbolt or any other type of lock for that matter, it is recommended to get those with a 6 pin cylinders to make them harder to pick or bump. Another popular lock mostly on older homes, is the Mortise. What makes this type of lock so unique is the fact it is installed inside the door itself which makes it harder to tamper with it. 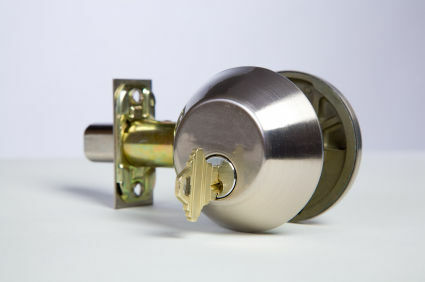 Among other types of heavy duty locks is the jimmy proof deadbolt. The way that is built prevent intruders from attempting to "jimmy" the door opened as well as sliding a card to unlock it. 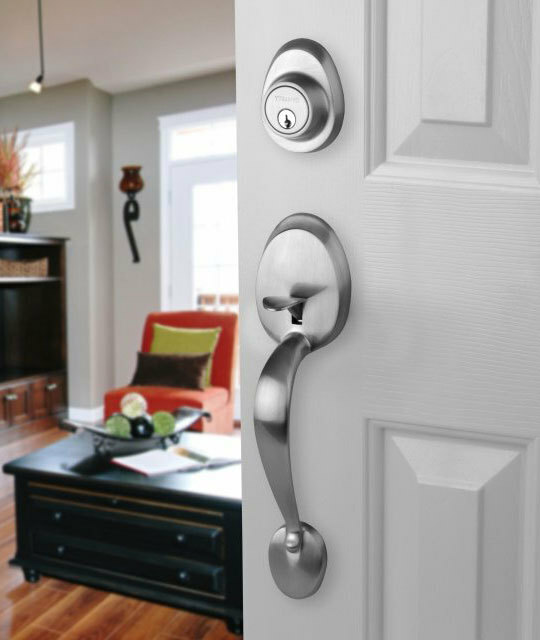 When it comes to interior doors, there is no need to use heavy duty type locks, and that is why lever handle locks are perfect for these types of settings. These types of locks are mostly used for bathrooms or bedrooms inside a home. If you are looking to go overboard and worry about style as well, a lockset would be you best choice. They offer the flexibility, durability and often available in a variety of designs and styles to compliment most types of doors. For more information about lock selection for your home, contact Premier NW Locksmith Reno (775) 538-2159.
many people must be familiar with that frustrating feeling when they realized they have just been locked out of their vehicle by leaving the keys inside it. What is even more frustrating is the fact that it usually happen in the most inconvenience moment in the day. It can happen when you are far away from home, before you go to work, or just about to leave from the grocery store. Trying to get into the vehicle yourself might not be a good choice as you can cause damage to your vehicle. In such case, calling a locksmith that provides automotive services and have the right skills for the job would be most recommended. Years ago, people would use coat hanger in order to unlock their vehicle in case of an emergency where they got locked out. However, those days are long gone with technology in vehicle that started to progress during the 90's. 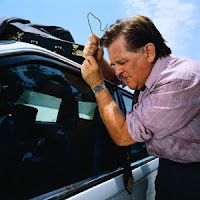 Many vehicles that are on the road today are designed with security as one of the top priority and are very difficult to unlock using the old methods such as a coat hanger or even a Slim Jim. With such difficulties, many professional locksmith today are equipped with specialty tools and using different techniques to unlock a vehicle without leaving any damage. Because of the added security that most vehicles today come with, avoiding do-it-yourself methods to unlock your vehicle in an emergency situation is important. Especially if never tried before, even using old techniques can cause serious damage to the vehicle which may decrease its value and most likely will not be covered by the insurance company. In many cities around the country, people use to call the local police to assist them in case of an emergency lockout. However, nowadays this is not the case as for most vehicles specialty tools are required. Unless its a serious case of an emergency such as a child locked in a vehicle, law enforcement will not be able to assist. And even in such emergency situation, they will most likely break the window of the vehicle. Calling a locksmith will not only help you get out of such situation faster, but also without causing any damage to your vehicle. For more information about automotive lockout services, contact Premier NW Locksmith Reno (775) 538-2159. Today's advance technology in the security field is allowing many types of small and large businesses to further secure their properties using access control systems. With these types of security lock systems implemented, there are many security tasks that can be done other than the standard locking feature traditional locks are holding which can improve the security of a business property significantly. Traditional security lock systems start and finish their job to protect the property with the front door which can limit the security of the business. If a person was able to gain access into the property, the lack of additional security will hurt the security of the rooms and departments inside the commercial property. Access control lock systems can change all of that by enabling ways to monitor and track the people who entered the property. This type of system will normally involve more than just one interface controlling access to the front door of the property, but also various types of locks installed inside the property which has card readers capabilities or other type of access control method. In order for an access control system to successfully work, all the locks involved in the system must work in conjunction in order to create the ultimate protection and security for the property. 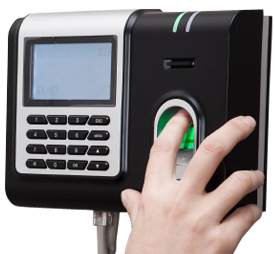 Bio-metric locks are one of the types of interfaces used in an access control system. The interface incorporates specific data on users who has the credentials to gain access and limit the access to those who don't. Key card access is a more convenient way to gain entry as part of an access control system. The access cards that is given to the user hold the information that determine which rooms or departments the user can access. In addition, some interfaces has the capabilities to log any user access whether if it was successful or not. 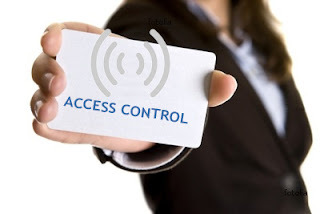 Access control systems has the ability to integrate different lock systems into one unified unit. It is clear that stand alone advance technology lock systems can provide better level of security than the traditional lock and key settings. However, when enhanced technology lock systems are joined together and communicate, it will provide far more superior level of security to the property. For more information about access control systems for commercial properties, contact Premier NW Locksmith Reno (775) 538-2159. 2015 Premier NW Locksmith Reno. Picture Window theme. Theme images by johnwoodcock. Powered by Blogger.